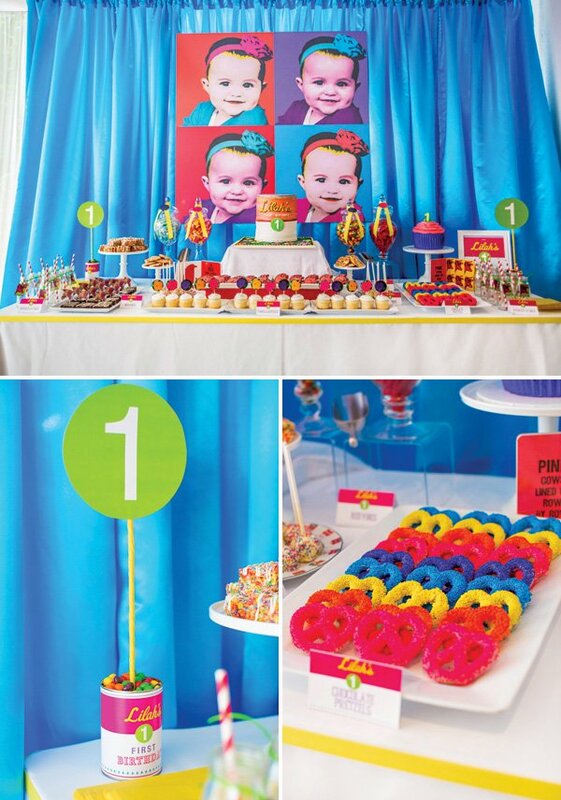 This Andy Warhol Pop Art First Birthday Party is proof that sophisticated themes can work amazingly well for kids’ parties too! 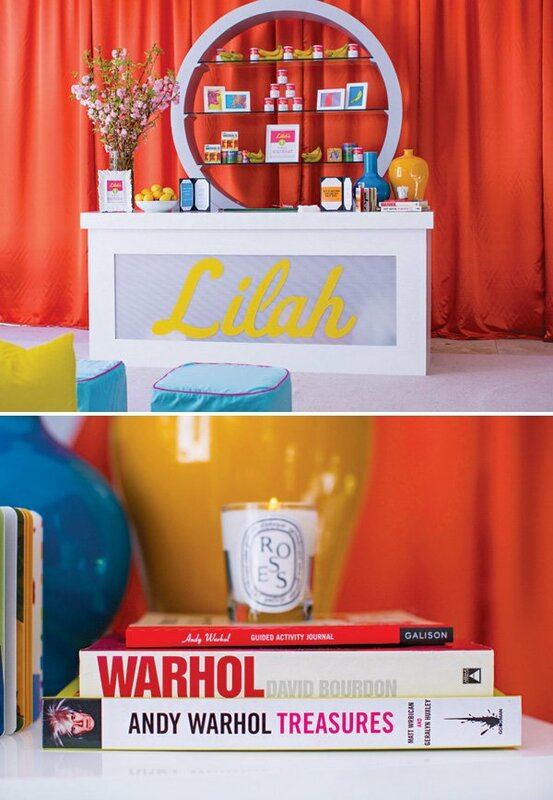 Nick Gentile Events styled this party with some help from Rachelle Guerin, who came up with the pop art theme for her daughter, who’s favorite book is Andy Warhol’s Colors. 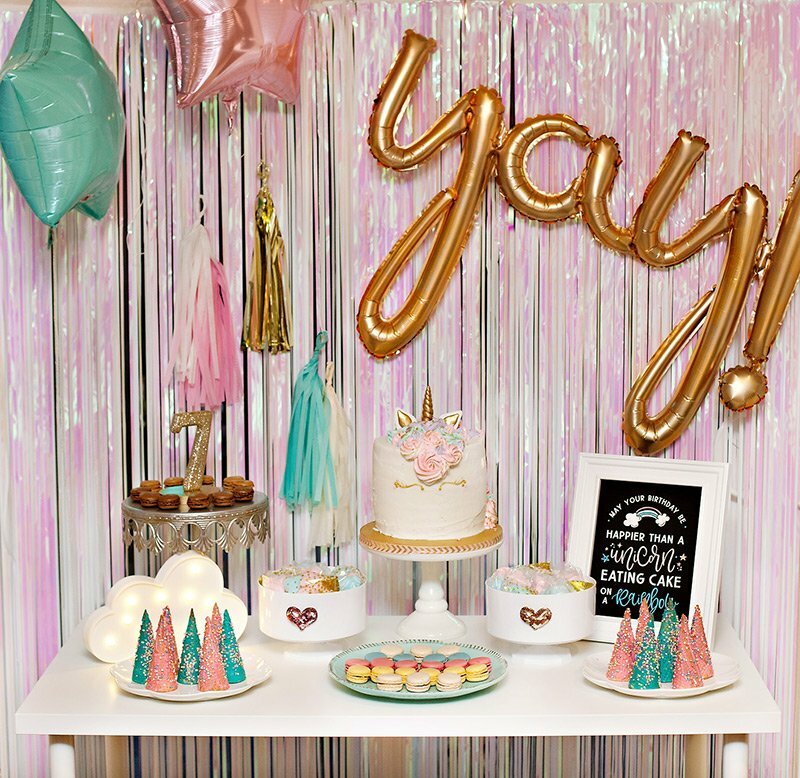 I love how unique this theme is, especially since the bright colors, funky decor & animal sweets totally make sense for a one year old! 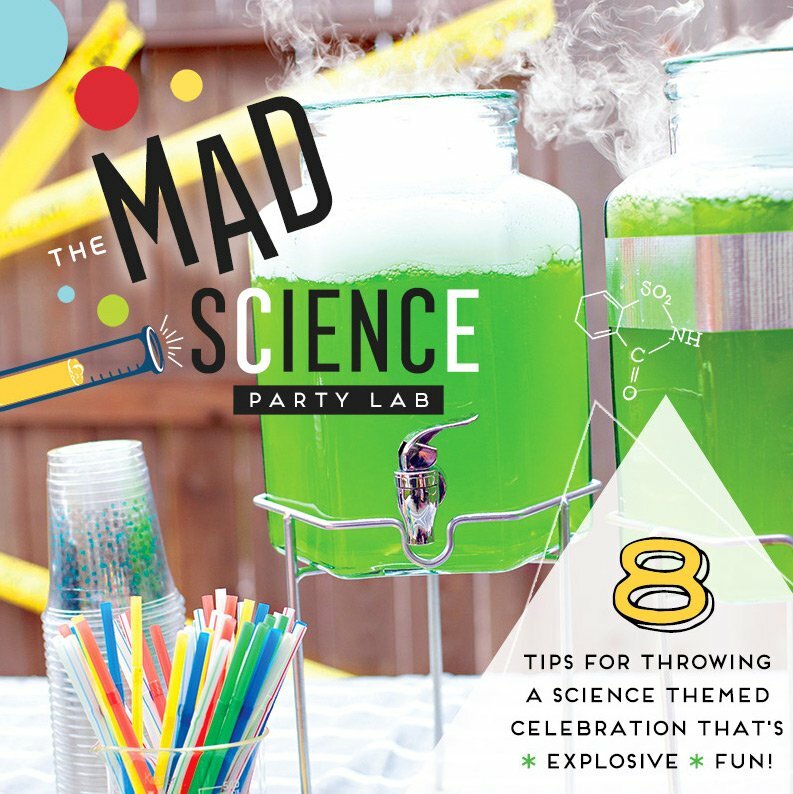 It’s the perfect example of a party that kids & adults can both enjoy! Make sure to check out the video at the end to see the whole setup. 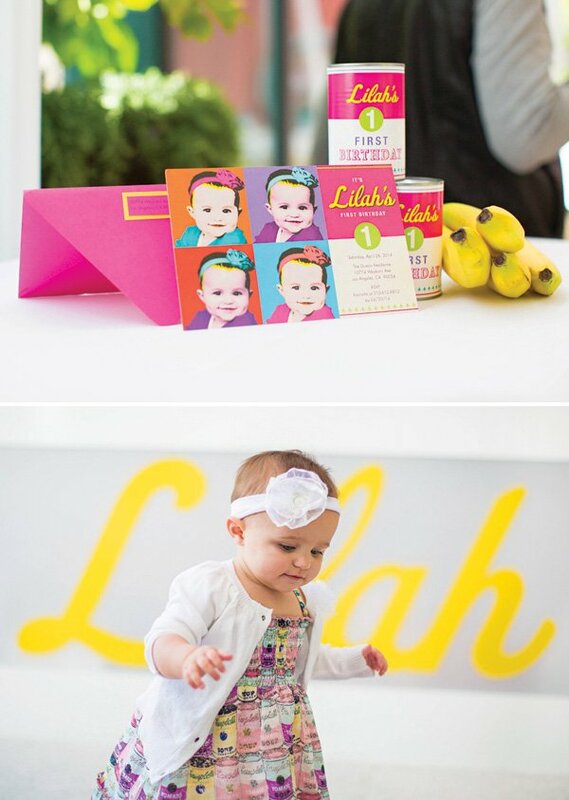 We threw an Andy Warhol inspired, pop art party for our daughter’s first birthday! 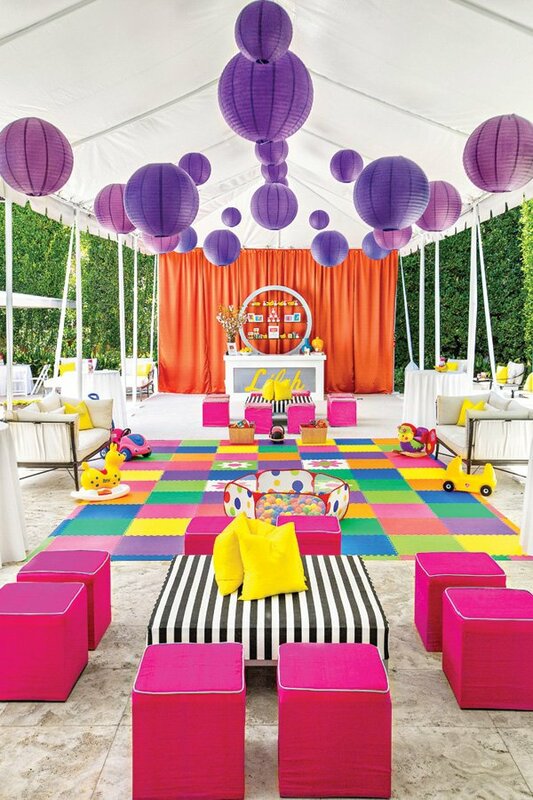 It was bright, bold and fun for both the kids and adults. 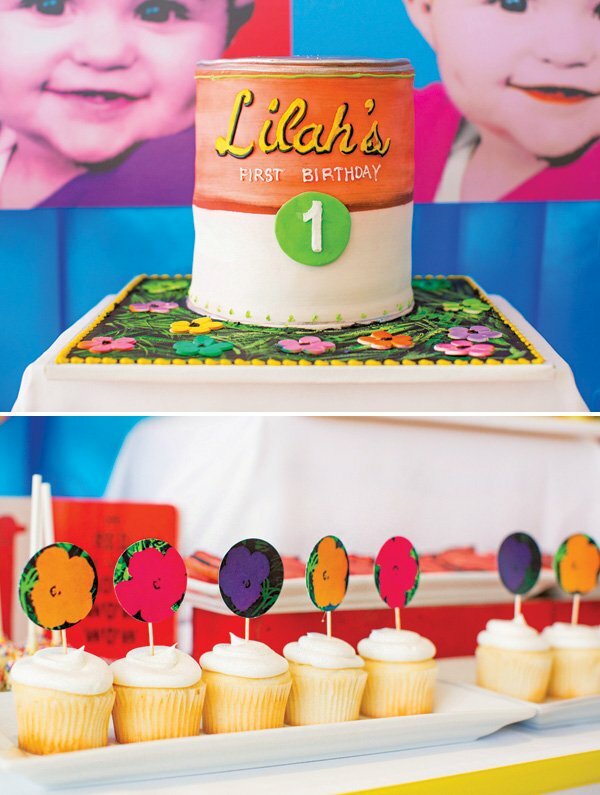 The theme was based on our daughter’s favorite baby board book, “Andy Warhol’s Colors” by Susan Goldman Rubin. 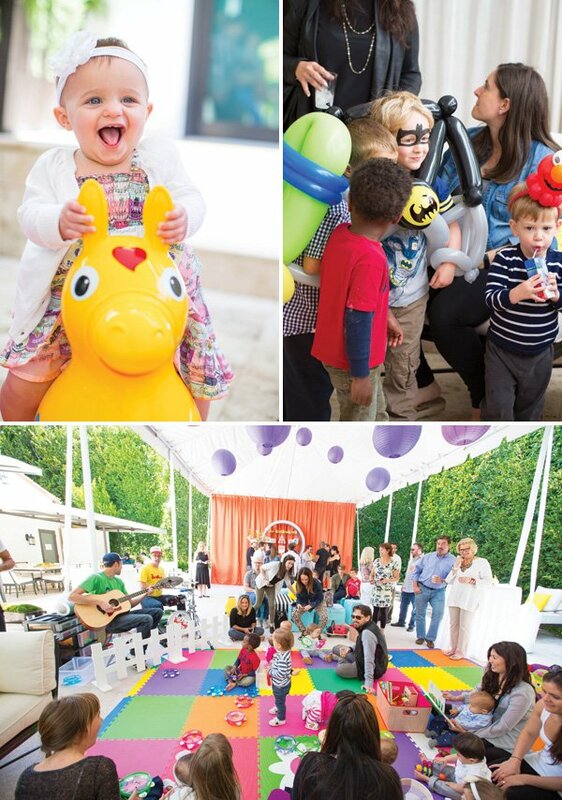 To keep the little ones busy we put down squishy tile flooring, set-up a tent and put out our daughter’s brightest and most fun toys for the kids to play with. The Beat Buds put on a fabulous 45 minute music show and we had Balloon twisters and a face painter to keep the littles engaged. For food we offered tray passed comfort-style hors d’oeurves ranging from mini grilled cheese sandwiches with tomato soup shooters, to kobe beef sliders, and mini hotdogs with fries. 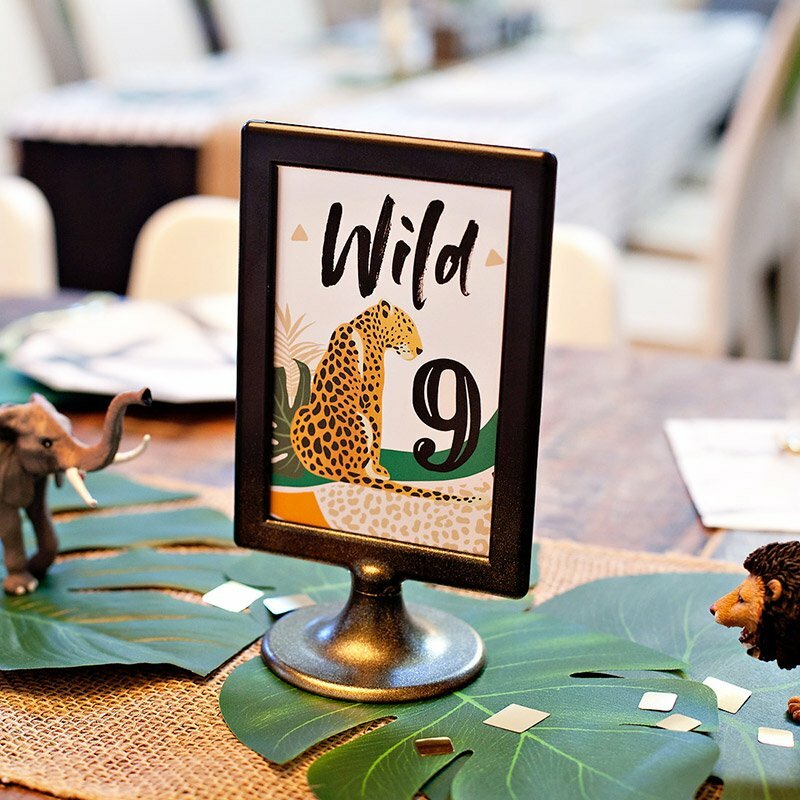 In addition, we offered a bar with custom drinks and seating to accommodate our adult guests too. In lieu of gifts we asked for art supply donations to the Art of Elysium, an arts based charity that brings the arts in all forms to children in Los Angeles hospitals. Our guests really delivered by bringing in over 100 new art supplies for donation! 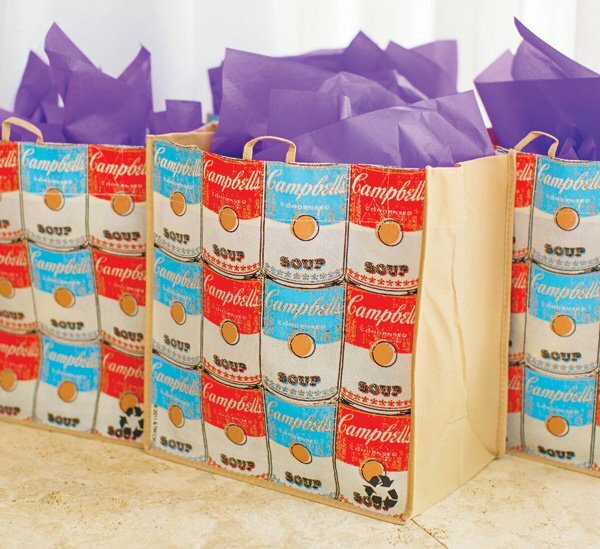 Lastly, the Campbell’s Soup gift bags were filled with our daughter’s favorite Warhol board book and a Warhol-inspired Planetbox lunchbox for each little guest. It was such a fun day shared with wonderful family and friends! 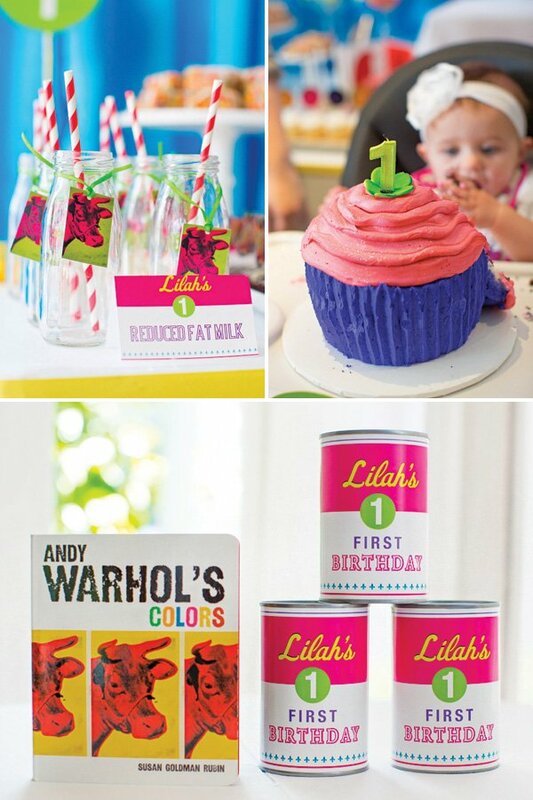 An Andy Warhol first birthday party? Now I’ve seen it all. This is pretty awesome. 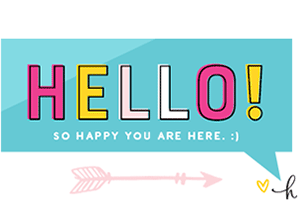 http://t.co/Guv17eGnBs like look at this!!!! I know! 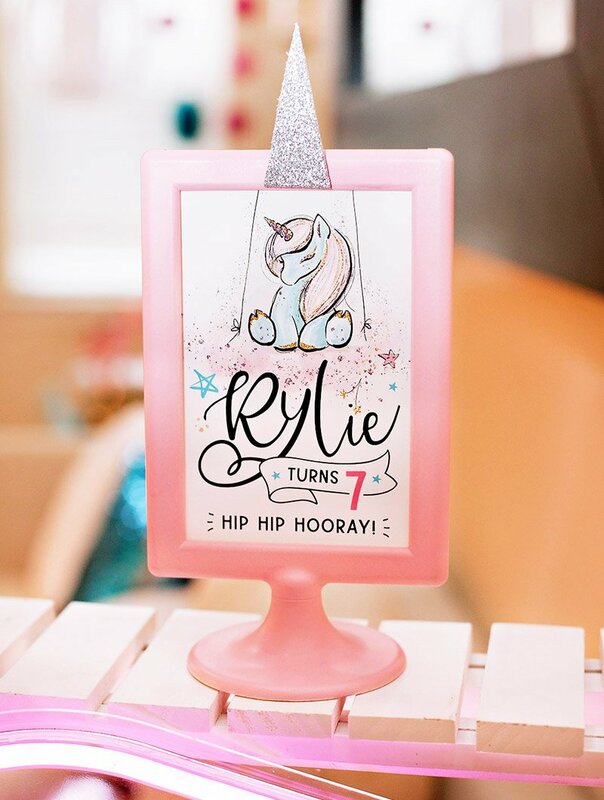 Thought of YOU immediately! 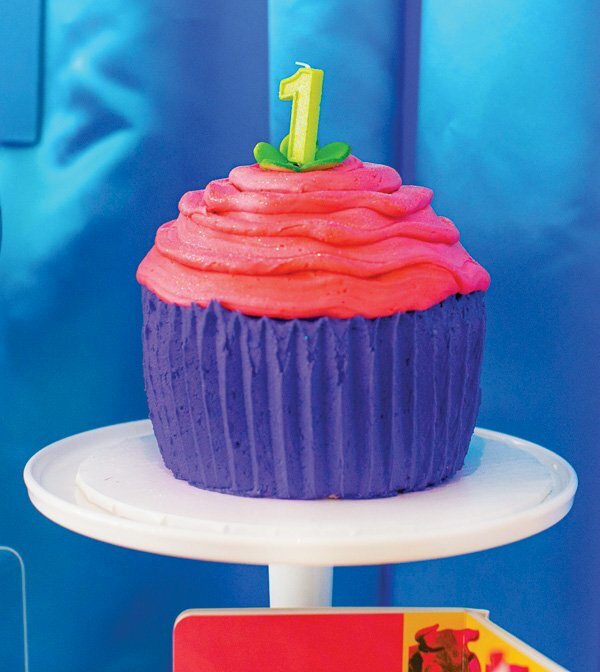 Now, where can we find a little girl about turn one!? 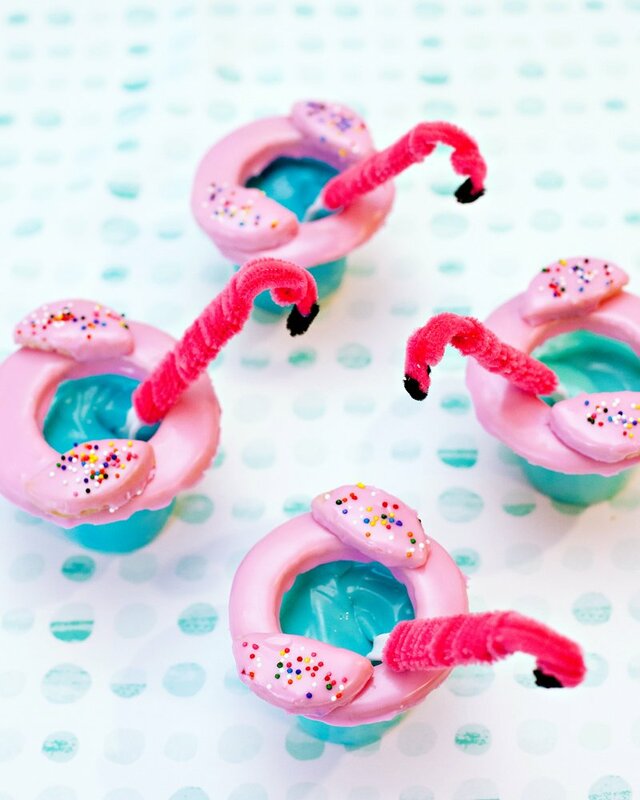 :-P Now that I think of it you can totally do this for a boy!! Where did they have the portrait done? 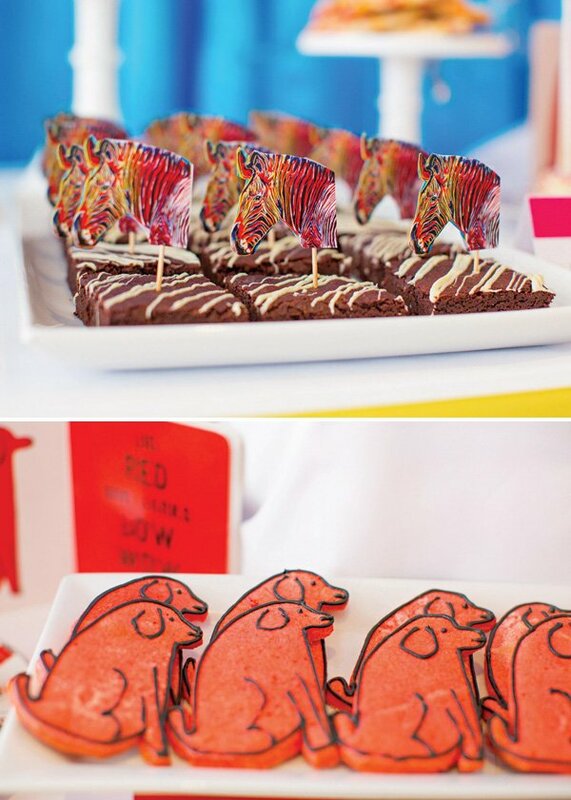 I need something similar for a Beatles party.